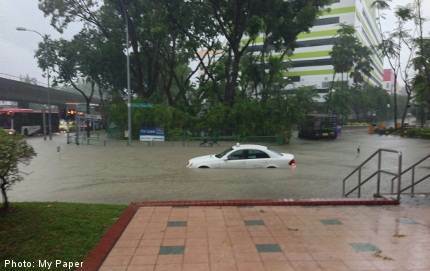 Heavy rainfalls have caused flash floods in Singapore. Avalanche on Mount Shirouma in Japan over the weekend claimed three lives. A fourth person has also been recovered from Mt Fuji in Japan. Two other climbers are still reported to be missing in the avalanche in Nagano prefecture. “Nor’wester” claims five lives including two children in Tangail, Sirajganj and Gaibandha area of Bangladesh. Severe local storms during the pre-monsoon season in March, April and May in Bangladesh is called “Nor’wester” locally.